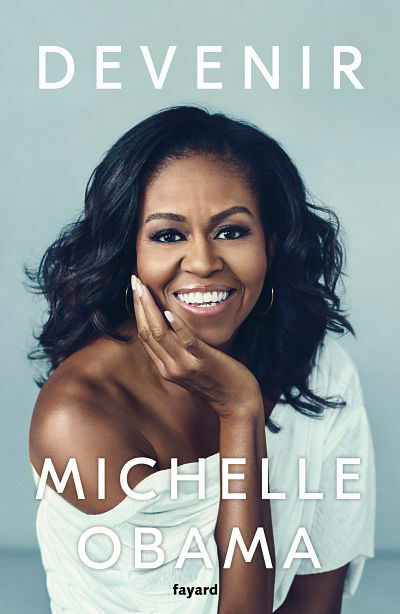 After the release of her book “Becoming” last November, published in French by Éditions Fayard, the former First Lady of the United States will be in conversation with the public at the AccorHotels Arena in Paris on April 16th. Kering is proud to be a partner in this unique event in France, and to be able to invite 350 young women to such an exceptional evening. Michelle Obama is a figurehead for women’s empowerment – a topic that goes to the very heart of the Group’s commitments. Michelle Obama served as First Lady of the United States from 2009 to 2017. A graduate of Princeton University and Harvard Law School, Michelle Obama began her career in the Chicago law firm Sidley & Austin, where she met her future husband, Barack Obama. She went on to work with the Mayor of Chicago, then at the University of Chicago and at the University of Chicago Hospitals. Michelle Obama also founded the Chicago Chapter of Public Allies, an organization that helps young people prepare for careers in the public sector. Michelle and Barack Obama live in Washington and have two daughters, Malia and Sasha. A global Luxury group, Kering manages the development of a series of renowned Houses in Fashion, Leather Goods, Jewelry and Watches: Gucci, Saint Laurent, Bottega Veneta, Balenciaga, Alexander McQueen, Brioni, Boucheron, Pomellato, Dodo, Qeelin, Ulysse Nardin, Girard-Perregaux, as well as Kering Eyewear. By placing creativity at the heart of its strategy, Kering enables its Houses to set new limits in terms of their creative expression while crafting tomorrow's Luxury in a sustainable and responsible way. We capture these beliefs in our signature: “Empowering Imagination”. Kering has long been committed to gender equality, which has been elevated to a corporate priority. This reflects in concrete terms within the Group by the promotion of female talents, the application of the principles of transparency and equal opportunities to its human resources policy, and the full and complete integration of these principles into its own culture. Since 2015, this commitment extended to the world of cinema through the Women in Motion program, initiated by the Group as part of its partnership with the Festival de Cannes, to highlight the place of women in cinema and their invaluable contribution to this industry, because it is such a powerful lever to change attitudes and further equality. This commitment to women could not disregard the many forms of violence of which women are victims on a day-to-day basis: in the world, 1 in 3 women suffers violence in her life. Since 2008, the Kering Foundation has been combatting this universal scourge that affects all cultures and all populations. If things have begun to change, and even if the boundaries have shifted and the glass ceilings are cracking, many initiatives will still be necessary for this movement to foster an ongoing and comprehensive improvement of the condition of women. This is why Kering continually reaffirms its commitment to women by taking action upon the three scopes of responsibility which it has made its own.